500 Kilometers South Of Esperanza Base, Lemaire Channel. The big picture of why the poles are warming up so fast is proven by history, and explained by simple physics. The history of the last five million years, basic thermodynamics, biology and celestial mechanics. It’s etched in stone. Five millions years ago, the planet was warm. The global CO2 level was the same as now. The global sea level was much higher (30 to 40 meters higher). Then the Central America isthmus closed down, thanks to all its volcanoes. This modified currents worldwide. Or, at least, so went the theory that reigned for thirty years. But now doubts have surfaced; the isthmus between the Americas may be much older than previously thought. In any case, a few million years ago, Earth’s orbital parameters changed: the inclination of the Earth on the ecliptic (the plane in which its rotation occurs) diminished. That implied colder summers, hence the persistence, thus built-up, of ice at the poles. Glaciations are all about the peak temperatures, in summer (the rest of the year does not count: ice melts mostly in the warmest two months). The Arctic became colder, as it got colder in summer. Ice gained, shutting down the CO2 within the ocean with a cold water lid. So CO2 levels in the lower atmosphere collapsed… Down to about 280 ppm. That increased the cooling down. The ice gained further… Until it went so south that it melted in summer. Now we are back to Pliocene CO2 levels, 5 million years ago. With these levels of CO2, so much infrared radiation gets trapped close the ground, that the refrigerators are bound to melt. Another reason is that the warm CO2 blanket tends to unify the temperature. Another way to look at it is that the temperature of the equatorial regions is an average of 25C. The average temperature of the planet is 15C. 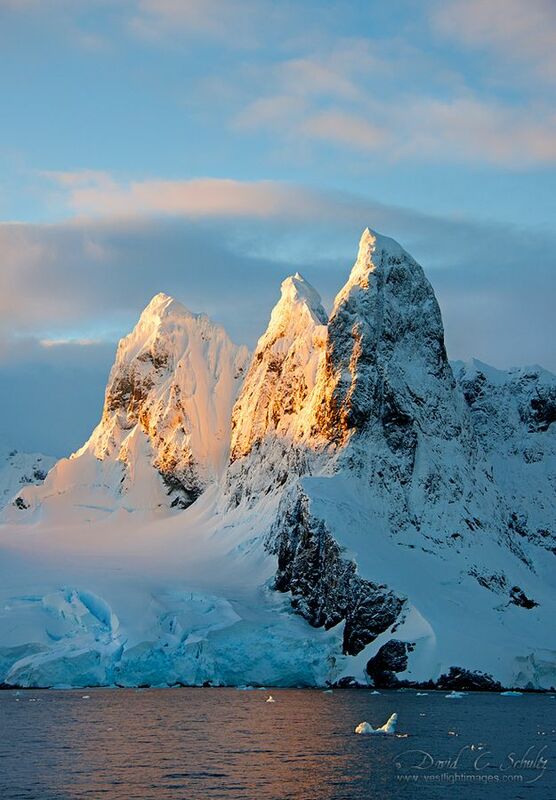 The average temperature within Antarctica goes from -10C (Coast) to -60C (Interior). Say it’s minus 45C (the official estimate). If the CO2 blanket is thick enough, the poles will roughly get as warm as the rest. There will be a lot of inertia: when an ice cube melts in water, the water stays around freezing during the process. 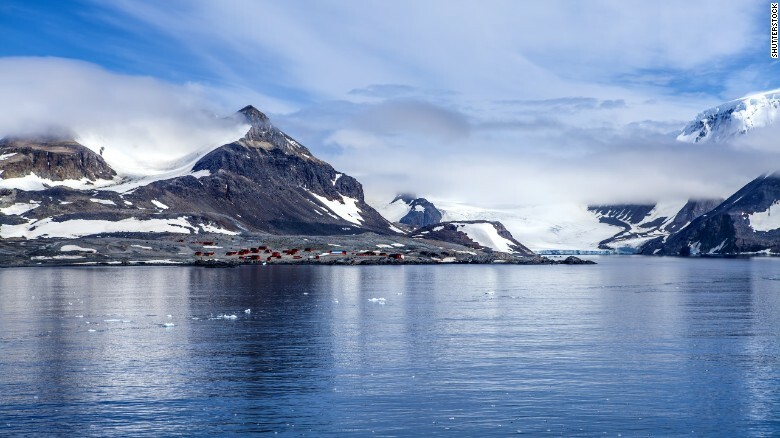 The previous record was 63.3°F (17.4°C) set just one day previously at Argentina’s Marambio Base, an island just off the coast of the Antarctic Peninsula. According to satellite data, researchers from the University of Southampton in the UK, found that sea level rise around the coast of Antarctica over the past 19 years was 8 centimeters (3.15 inches). Average sea level rise was 6 centimeters (2.36 inches). Last summer, in Nature Geoscience, the specialists explained that melting glaciers create an outflow of sweet water. As it is less dense, it floats above the salted water, according to Archimedes Principle. This will only accelerate melting. Up north, on February 25, 2015, Arctic sea ice extent reached its annual maximum extent. It was the lowest, and earliest, ever. Humanity would seem to be in a fascinating state of denial. But not really. After all, maybe only 2,000 individuals lead the world. Indeed those leaders are different creatures. Those who are so much greedier for personal power that they end up dominating billions, can only be blinded by it. They have more power than anybody before. More power than any tyrant ever had before. Contemplate Benjamin Netanyahu: he could fry Iran, with Israeli H bombs. That has got to make him dizzy. And he leads only six million Israeli Jews (who make 75% of Israel’s 8 million). Now think of Putin, with 24 times more subjects, and more than 8,000 nukes. Then contemplate the senseless wars the Greek city-states were making to each other. Everybody was allied, and enemy, of everybody else, and often in very short order (weeks). Meanwhile the “King”, namely the emperor of Persia, was busy making the mess messier, with the tremendous money, power and influence at his disposal. This fibrillating, bellicose frenzy went on and on. Until the plutocrats from the north, the Macedonians, whose wealth rested on horses and gold mines, swooped down. We could easily fall back in a similar state. It was the inability of Athens to impose a sustainable empire that caused the war panic in Greece. The war itself was launched by Sparta’s anxiety for the rise of Athenian power (said Thucydides, 24 centuries ago). Sparta’s socio-economic model, ferocious racist exploitation (of the Helots) was failing. Athens’ global trade was winning. But, too sure of her strength, Athens mismanaged the war (in several dimensions: ethically, strategically, tactically, diplomatically, epidemiologically, etc.). Result? 23 centuries of eclipse of direct democracy. And counting. Direct Democracy has been re-installed only in Switzerland. Now the stakes are higher. Western Europe is at peace… All too much. The Main Stream Media have put everybody to sleep. Regularly the media, in turn, publish articles of Matt Ridley. An excellent writer, with a PhD in biology, author of many best sellers in life sciences, Matt Ridley returns to the Wall Street Journal to to argue against clean energy rapidly scaling up, and the science linking the year 2014’s record heat, widespread extreme weather with carbon pollution. Lord Ridley is a parody of plutocrat. Not only he sieges at the Chamber of Lords, he is a “coal baron” with a revenue from a coal mine on his family estate of six million dollars a year. Yes, he is a major corrupt banker too. Such people mold world public opinion, as their friends in the MSM give them the means for propaganda. See Lord Ridley’s Rule. Because they did not have even enough elements to get angry, let alone fight our corrupt leaders, and take over their so-called leadership, our supine populations will soon have to fight the flood. And a real one. And that will come with a Greek situation, the war of all against all (whom Xenophon related in his Hellenica, the primary source for Greek history from 411 BCE to 362 BCE, the explicit continuation of the History of the Peloponnesian War by Thucydides). The war of all against all may have already started. See Obama desperate to strike a deal with his friends of the instant, in Iran and Russia, while others (notably France) want an exemplary accord, and hang tough. Well, France is right. The last thing we need is nuclear weapons all over, while the global flooding accelerates.